Vision Air Research (VAR) specializes in the use of aerial infrared technology to conduct in wildlife surveys. VAR is the leader in using forward-looking infrared (FLIR). VAR’s staff has conducted research on the variables that influence detection rate by using radio-collared (radio-tagged) animals to verify detection rates since 1994. We integrate a suite of specialized skills required to use FLIR including a Certified Wildlife Biologist, outstanding aviation support, and thermography training and EXPERIENCE for wildlife applications. We understand the connection between the species and their habitats to be surveyed and the type of FLIR (i.e., wave length, stand off range, gyro stability) and aviation platform (i.e., airplane, helicopter, unmanned aerial vehicle (UAV)). We target our data collection to meet your goal and budget. VAR has conducted aerial infrared surveys across North America, from the North Slope of Alaska to the bayous of Louisiana and coast to coast. We have experience conducting aerial infrared animals surveys on a range of species including: moose, elk, white-tailed deer, mule deer, bighorn sheep, pronghorn antelope, woodland caribou, wild horses and burros, elephants, polar bear maternal dens, sage grouse, turkeys, coyotes, mountain lions, and domestic livestock. Vegetation cover types have include: eastern deciduous forests, mixed hardwood and coniferous forests, western mixed coniferous forests, subalpine and alpine communities, fiber farms, north boreal forests, sagebrush grasslands, and agricultural lands. We have experience has included both day and night surveys ranging from snow covered terrain in winter to the deserts around Yuma, AZ in July. VARs staff has conducted extensive research on the variables that influence wildlife detection. Our Certified Wildlife Biologist has over 5,000 of hours of hands-on- experience using FLIR for wildlife surveys and training in thermography. We provide accurate, precise, and unbiased data collection for reliable, replicable wildlife population estimates. 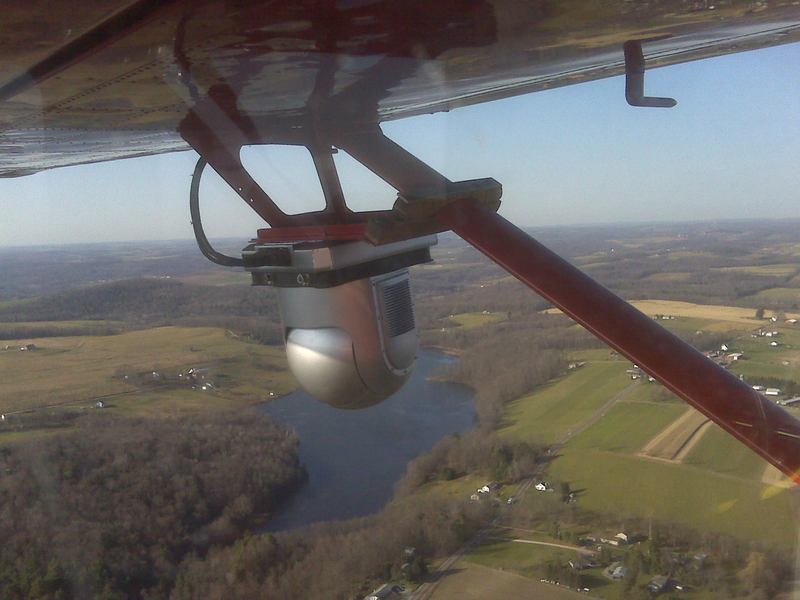 Vision Air Research is the leader in the application of infrared imagery for wildlife monitoring. Their work in numerous types of settings from remote wildlands to major cities has demonstrated the adaptability and effectiveness of this technology. For remotely-sensing populations of small to large animals, monitoring with infrared has numerous advantages for generating reliable surveys. During my tenure as the wildlife biologist for the Pennsylvania DCNR, Vision Air Research successfully completed what may have been the largest aerial deer survey ever. It was a monumental effort providing valuable information.